I don’t really follow basketball, at least not after my childhood crushes on Michael Jordan and Magic Johnson in the 1980s. So, I owe it to Tony Parker for getting me interested in the game again. 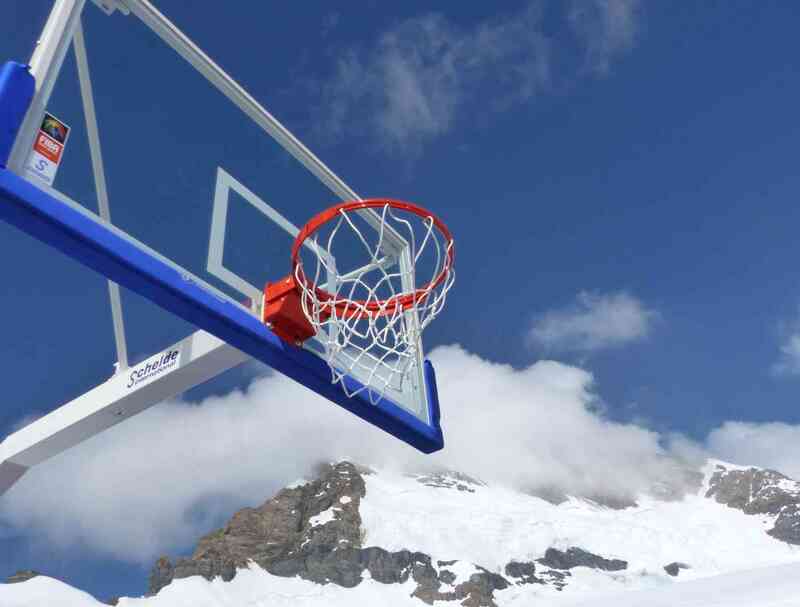 And, unless the monks of Shangri La also play basketball, the match I watched on September 14, 2016 at the top of Europe, Jungfraujoch, has to be the highest place in the world where the game was played in recent history. And most certainly the rarest air that an NBA star has breathed while shooting hoops. And scored. And won a match for his team. Like most people that day, I got to the highest playground in Europe as they usually do, by the historic Jungfrau Railway (more posts about which will follow in the coming weeks on this blog). Tony Parker, though, took a chopper to the top. Tony Parker was the cynosure of all eyes that afternoon, which started off under a sky clear as blue eyes but gradually grew curdled with an oncoming storm front. For those who know their basketball (and their People magazine gossip), Tony Parker needs no introduction. To those new to the game and its galaxy of high profile stars, suffice to say that Tony Parker is a sensation on the basketball court and outside of it. A Belgium-born basketball professional, he plays for the San Antonio Spurs in the National Basketball Association (NBA) in the United States, and was instrumental in the team winning four championships in 2003, 2005, 2007 and 2014. Notably, he is also a brand ambassador of Tissot. And Tissot — a word must be said of this familiar and coveted product of Switzerland. 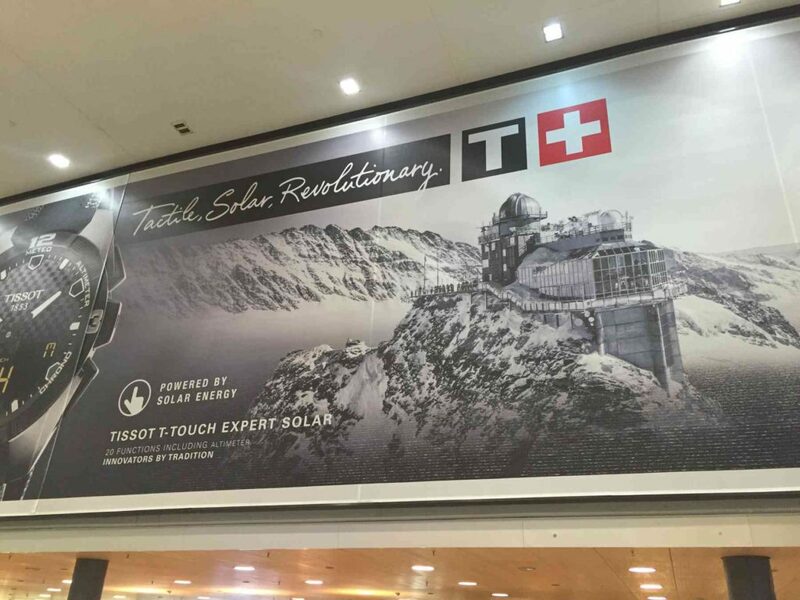 At Zurich Flughafen railway station, a gigantic advertisement for the watch brand greeted me as I was about to board my train for Bern, and thereon to Interlaken. In the background, hiding behind the watch that was the centrepiece of the ad, was a breathtaking panorama of snow-clad alpine summits. Notable among them was an imposing peak with a silver-domed observatory atop it gleaming in the diffuse, windswept sunlight. This distinctive mountain, Jungfrau, is not the highest in Switzerland (that honour goes to the Matterhorn), but it claims distinction as the highest station in Europe accessible by train. It is the pride of the Jungfrau railway system and a feat of engineering that boggles the mind if you consider that this intrepid, nature-defying surface transportation system is more than a hundred years old. 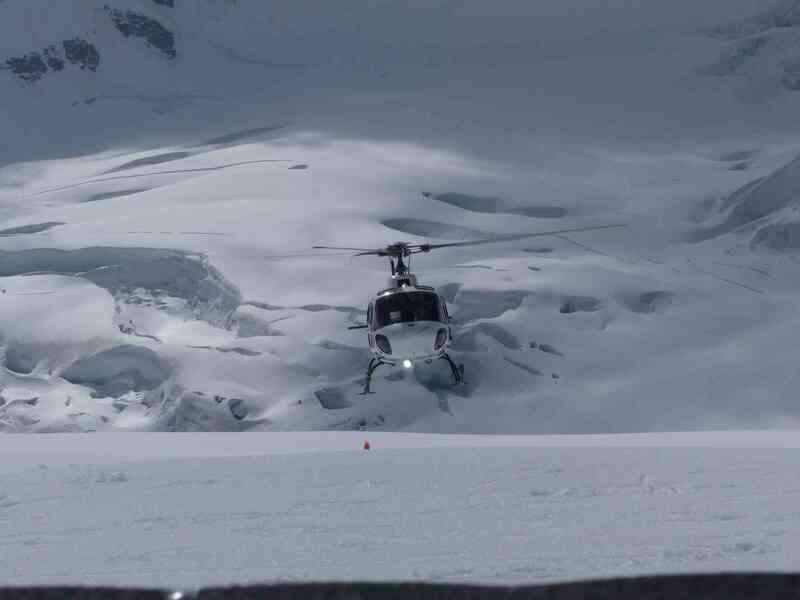 It operates 365 days a year, even in winter when skiing enthusiasts arrive in droves. 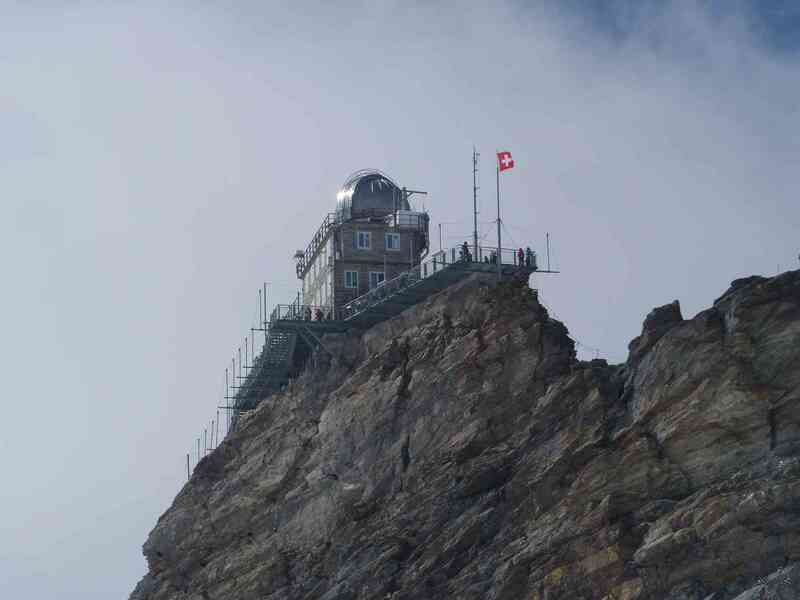 Jungfraujoch, the final railway station on the Aletsch glacier, at 3,454 metres (11,332 feet) above mean sea level, is quite decidedly the top of Europe. 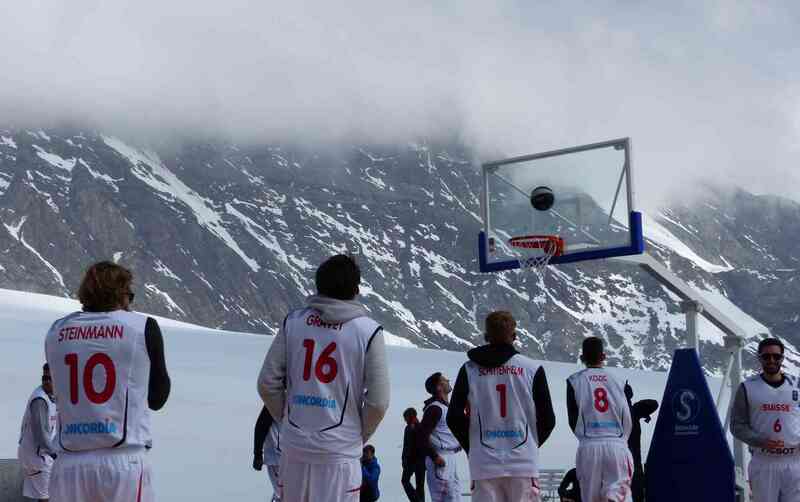 It was here, against this magnificent setting of high altitude snowfields, expansive glaciers and permafrost, that Tony Parker and his team played the Swiss national team in one bitterly cold, teeth-chattering, palm-freezing but nonetheless exhilarating game of basketball. 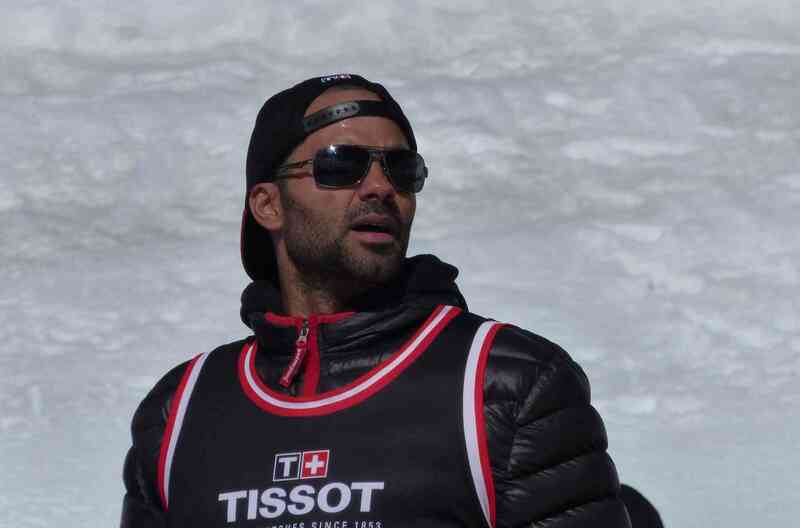 A helicopter, blades slicing the frosty air, brought Tony Parker to Jungfraujoch. Perks of being a Tissot ambassador and a celebrity, but I’d still not give up that exhilarating train ride for anything. The crowds that had arrived with me by train milled around the basketball court that had been painstakingly prepared at this elevation. A festive atmosphere prevailed. Alphorn players and Bernese mountain dogs welcomed the players. 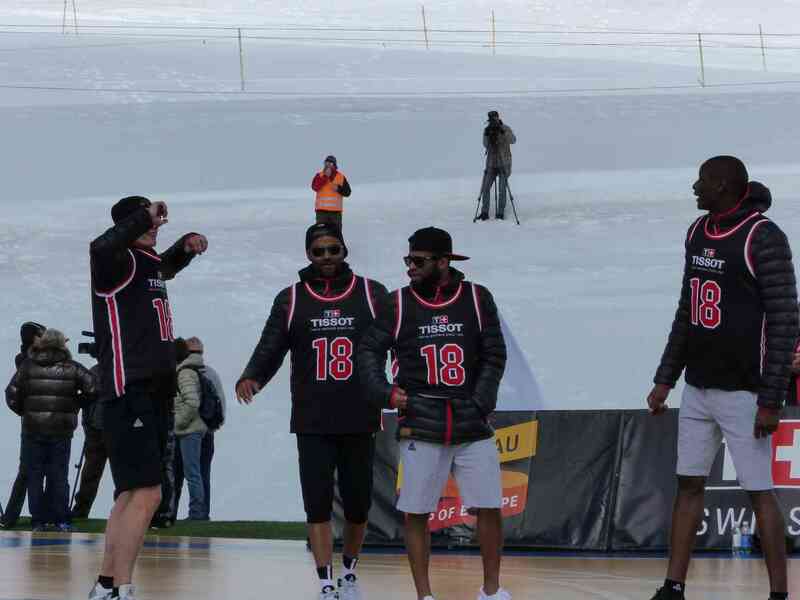 In shorts and puffy jerseys with long sleeves, wearing shades to beat the intense UV radiation, the players of both sides stepped gingerly onto the court. They rubbed their hands and blew into them from time to time. We could see their knuckles turn alternately red and white as they clenched their fists to pump up blood circulation in this alpine temperature, which was a mere three degrees above freezing. The rest of us spectators, cozy in our mitts and layers, our shoes crunching the crystal snow, gazed on without envy or pity. Just as we might treat gladiators. The metronomic thump of a basketball on court is a seductive sound . It is full of tense expectation. Its rhythm is broken only by the caesura of calculative pauses, the whoosh of precise passes, the vicarious corporeal energy of spectators craving and being treated to a leaping slam dunk. The angst and thrill that ripples through the crowd when the ball drops through the basket can charge up a power plant. The match started sluggishly but soon picked up pace and steam. The first points were scored. And then, as their bodies warmed and their lungs worked harder, the players became lithe and nimble as they would at a lower altitude. It was all endurance and skill now, because it wasn’t easy to breathe the rare air, leave alone be athletic in it. Tony Parker didn’t hog the limelight. The maturity of his 34 years sat lightly on his experienced shoulders. The Belgium-born athlete played as a team man, cheering his mates and heckling his opponents good-heartedly, keeping up a friendly chatter as they dominated the Swiss team through deft, practised moves. It was a most entertaining match and though the Swiss team put up a spirited fight and lots of heart, they ceded the game to Parker and his lanky boys. The skies grew cruddy. A front was coming in. Down below in the alpine resorts of Grindelwald, Interlaken, Lauterbrunnen, Mürren and Wengen, a great mass of dark clouds had collected, assuring rainy weather for the next few days. 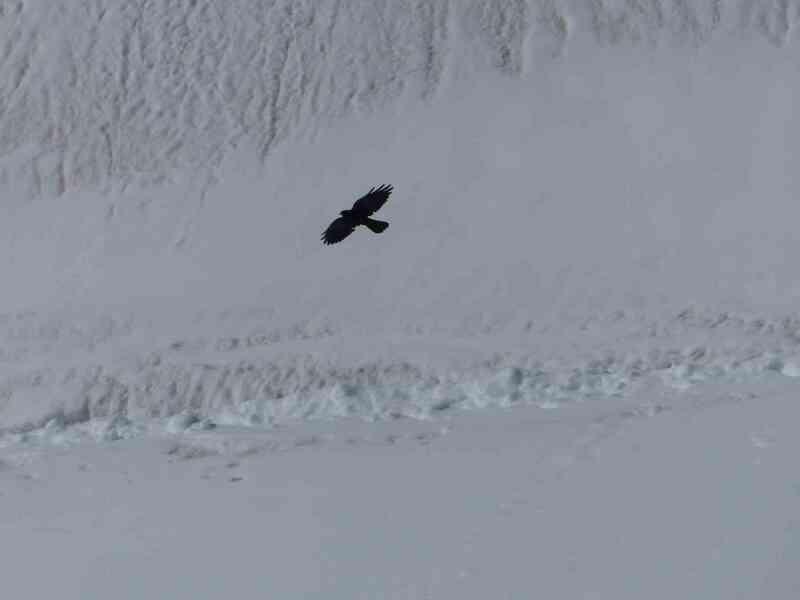 Up here on the glacier, the sun was still out. But the wind had picked up and the temperature was dropping. The crowd, which had warmed up to the match, groaned when the game ended. The players, though, must have been mighty relieved. The alphorns played. The big shaggy Bernese dogs allowed themselves to be stroked and petted like puppies. The basketball court returned to quietness, haunted only by the ghost echoes of the ball that had thumped around its length and breadth just a few minutes ago. The helicopter returned to spirit Tony Parker away. The awe-inspiring summit of Jungfrau in the Bernese Swiss Alps. Remember that Tissot ad? Same place! The views from the chopper, I imagine, must be fabulous. But I’d really recommend the train. From the alpine mountain pass station at Kleine Sheidegg, the lower terminus of the Jungfrau Railway, the views revealed to the train passenger are sublime. Pine forests melt away into sprawling, verdant alpine meadows, which are gradually replaced above the snow line by moraine and scree, and then towering massifs of snow-draped mountains. Much of the journey takes place inside tunnels but there are strategic stops at the train stations of Eigerwand and Eismeer, from where passengers can treat themselves to jaw-dropping panoramas of the glacier and snowfields. To say it is breathtaking is an unimaginative understatement, but then the experience can be overwhelming enough to leave you speechless. I found my words much later when I returned to Grindelwald. Back on the empty court, a curious alpine chough alighted on the basketball hoop and clattered its gaudy yellow bill, probably wondering what this human fuss was all about. The observatory dome atop Jungfrau glinted in the sun, now fast disappearing behind the bank of clouds fuming up from the valley. Icefalls shimmered on the north face of Eiger. The placid countenance of Mönch remained unperturbed. This hallowed trinity of Bernese peaks had just witnessed a game of basketball. In previous years they had seen Roger Federer serve a volley or three, and Kapil Dev and his 1983 devils roll their shoulders in thermal-fortified flannels. 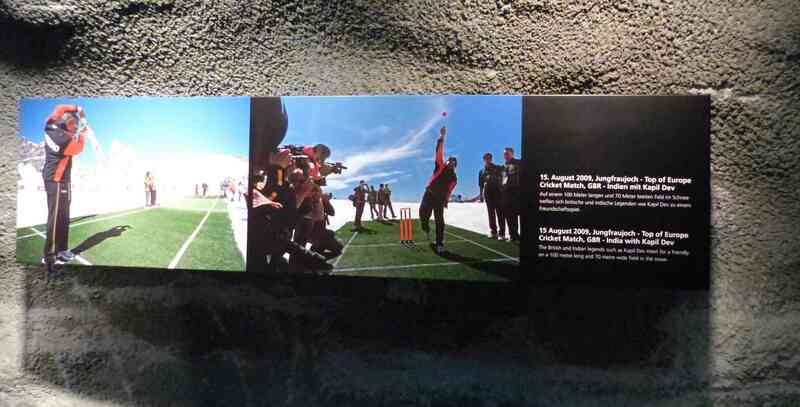 What great feats the Alps have witnessed in the eternity of a lifetime ! Why, the Carthaginian general Hannibal had crossed the steep Italian Alps with a herd of elephants in 218 BC. In more recent memory, the redoubtable Napoleon had led the Reserve Army through the Great St Bernard Pass, what is today the third highest road pass in Switzerland, in the spring of 1800. The thump of the basketball — I could still hear it in my mind’s ear. The steam rising from the players’ bodies. The cheers of the crowd. Was it all a snow-draped dream? Or was I just high on adrenaline, or perhaps altitude sickness? Photos and videos by Bijoy Venugopal. All rights reserved.